Even though it did not come to an existence until the 14th century, watchmakers from all around the globe have managed to create numerous guilds and develop truly revolutionary techniques, that are still being used in modern days. But what exactly does it take to become a master craftsman and has the role and job of watchmakers changed in our current society? The trade was officially established in 1554 by Huguenot refugees, who were fleeing from France and managed to find a new home in Geneva, Switzerland. It is believed that John Calvin’s ban on wearing jewelry is what pushed watchmaking forward since jewelers were forced to find a new craft. In just a few years’ time, the watchmaking industry was booming, and watchmakers found themselves establishing guilds and branching out to other less crowded cities. The golden age of the craft is considered to be the 19th century when Switzerland was making over 2 million watches a year. During the winter, Swizz peasant would spend their time crafting parts, which helped the industry grow even more. In the 1970s the Swiss industry slowly started dying and the expensive mechanical watches were largely replaced by cheaply manufactured Japanese quartz ones. Today Swiss-made watches continue to be highly valued, though they are mainly viewed as a luxury good and symbol of status and class. 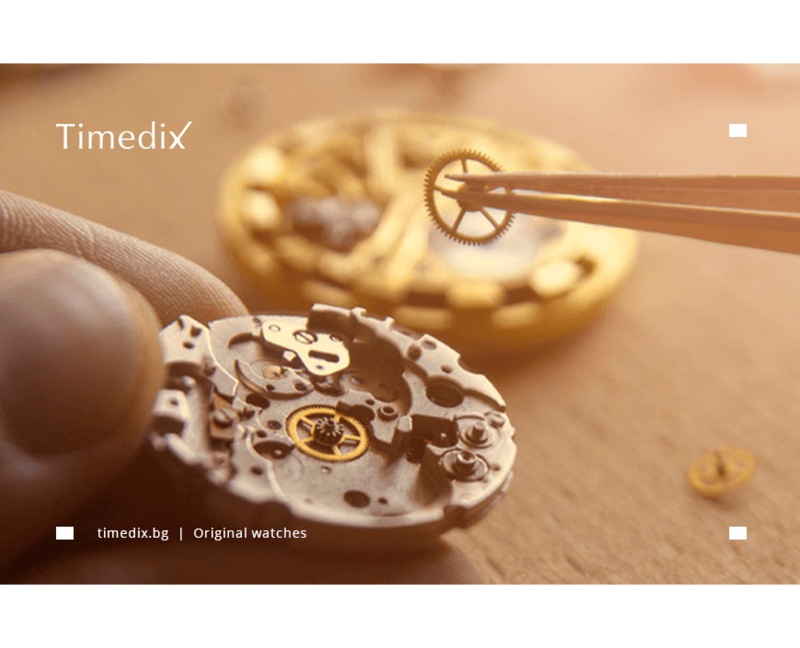 In modern days, due to technological advancements and the desire for mass production, the role of watchmakers has drastically changed. Most of the watches nowadays are manufactured in factories, so the artisan’s role has mostly come down to repairing the product. They are still required to possess technical and fabrication skills, as sometimes they would have to build new parts for old, unique watches. Swiss and other European craftsmen usually have their own workshops, though they not work independently, but are employed by major companies instead. For example, if a watchmaker was to work for Rolex, he would need to have a certificate from one of the major reputable training schools, he needs to be a member of the American Watchmakers-Clockmakers Institute and he needs to have a studio, that meets the company’s standards of cleanliness and work with modern equipment. In the past, watchmakers would have to undergo a seven-year apprenticeship and join a guild, before they would be considered a true craftsman and allowed to make their first watch. Today, they can either undergo approved training courses or attend schools, that follow the appropriate curriculum. Though they mainly study modern techniques, they still receive training in working with older, traditional models. The length of the courses varies from country to country. For instance, in Denmark apprenticeships usually last 4 years, but in France, one can obtain up to 3 diplomas, each one taking 2 years to complete. Though one does not necessarily need to possess a degree in order to work in the watchmaking industry. Some factories chose to hire so-called opérateurs, who receive in-house training as technicians and are allowed to work on a small number of components. Despite living in the day of mass-produced cheap products, there are still some watchmakers, who keep the craft alive and continue to build watches by hand, creating true masterpieces. George Daniels, a British horologist, was one of them and was considered to be the best one during his lifetime. He was born in Sunderland in 1926 and had a rough and abusive childhood, spending a lot of time on the streets. He joined the British army in 1944 and it was then when his interest in watches started developing, as he would often repair ones owned by his fellow army friends. Upon leaving the army in 1947, he found himself with only £50 in his pocket, which he decided to spend on tools and so he got a job as a watch repairer in a local workshop. After spending a decade taking horology night classes and working hard, he was finally able to open his own workshop in the heart of London in 1960. He would make his very first handcrafted watch in 1968, which at the time was sold for £2,000. After his death, it was sold in an auction in the United States for $285 000. During his lifetime, he created dozens of watches, though all them were made only for specific clients. Each one was a signature piece, a true work of art, that took over 2 500 hours to make. Daniels was a brilliant craftsman, though it was the invention of the coaxial escapement that brought him fame and to this day it is what he is most remembered for. In 1974 he designed a mechanism, which eliminated the need to add oil to the escapement since it operated with a very low friction, called radial friction. The purpose of modern watchmakers has drastically changed over the years, gone are the days of guilds and masterfully handcrafted products. Even so, despite the fact that most companies rely on convenience and cheaply manufactured goods, it is good to know that the art of watchmaking lives on and there are many, who truly appreciate the craft and are willing to pay for the creation of handcrafted watches.